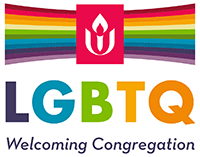 An important questions to ask about Unitarian Universalism is how we moved from our start as people asserting that there is one rather than three manifestations of a Christian divinity to the celebration of theological diversity that UU is today. Rev. Bob LaVallee will offer an abbreviated version of that history with some observations about what it means for us now.